In the northeastern Ethiopian region of Afar, more than 91 percent of women undergo one of the most severe forms of genital mutilation/cutting (FGM/C). Reproductive health education however, seems to be paying off, with the number of girls affected reducing, albeit gradually. “This cut is one of the most horrible things done to a human being - I still suffer from it. But how can we stop it when it is our culture?” asked Use Ahmed, 45, a resident of Awash, southern Afar. The eastern Somali region has the highest prevalence at 97.3 percent against 73.3 nationally, according to Ethiopia’s 2005 Demographic and Health Survey (EDHS). In Afar, where the cut involves infibulation (or Type III FGM), the removal of the external genitalia, before sealing and leaving a small opening for menstrual blood, CARE Ethiopia is working with former traditional circumcisers to improve awareness of FGM-related effects. The women are trained in reproductive health education and equipped with skills to run alternative small businesses. The anti-FGC project is funded by the Norwegian government through Save the Children Norway. 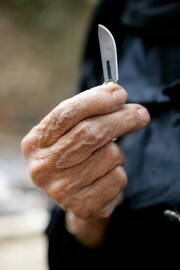 Basu Mohammed, a former traditional circumciser, said: “I used to take money after circumcision. I have now received training on how to be a professional birth attendant." Aside from the immediate risks of severe blood loss, shock and infection, longer-term problems associated with FGM include: infections of the urinary and reproductive tracts, infertility and a range of obstetric complications, such as postpartum haemorrhage and death of the baby. Interventions to enhance women’s and girls’ empowerment are aimed at helping address FGM/C. "If we can work with girls, we can help save them from harmful traditional practices," Charles Hopkins, CARE’s Pastoral Programme Manager, told IRIN. The project hopes to target more pastoralist girls by improving their access to basic services. But there are challenges. "Girls are seen as family assets and are thus heavily protected in the traditional system," said Hopkins. Pastoral girls are also often marginalized "because they are viewed as not belonging to the family - they will be taken over by another clan [through marriage]", he said. "Girls are prepared for marriage as early as the age of 10." FGM/C is among such preparations in a culture where the guarantee of a girl’s virginity is viewed as a prerequisite for an honourable marriage. The belief that FGM/C enhances a girl’s chances of finding a husband helps perpetuate the practice. Besides being said to be hygienic and aesthetically pleasing, many communities also believe that women who are not cut are prone to break household goods. Taboos against uncircumcised women handling grain, serving food and drinks to elders put additional pressure, notes a report by the UN Children’s Fund (UNICEF). "Where women are largely dependent on men, economic necessity can be a major determinant to undergo the procedure," adds the UN Population Fund (UNFPA). "FGM/FGC sometimes is a prerequisite for the right to inherit." UNICEF and UNFPA are also working with local communities and government officials to reduce FGM/C in Afar, notably by encouraging core groups of locals to lead the advocacy work through the formation of committees made up of community leaders. Ensuring regular attendance is not easy, however, in an area where most people are pastoralists, Benoit Kalasa, the UNFPA Representative to Ethiopia, told IRIN. “We are creating awareness on all SRH [Sexual and Reproductive Health] issues. We have empowered pastoral women and girls and then generated alternative income sources [to] avoid FGM/C,” CARE Awash woreda (district) lead community facilitator, Gashaw Admasu, said at a recent meeting in Addis Ababa. Nine circumcisers were recently arrested in Afar, with seven being sentenced to between three and five years in jail, Amibara woreda women’s affairs office head, Fatuma Ali, told IRIN. According to Kalasa of UNFPA, while the law may land FGM/C practitioners in court, those who are found guilty are often pardoned. 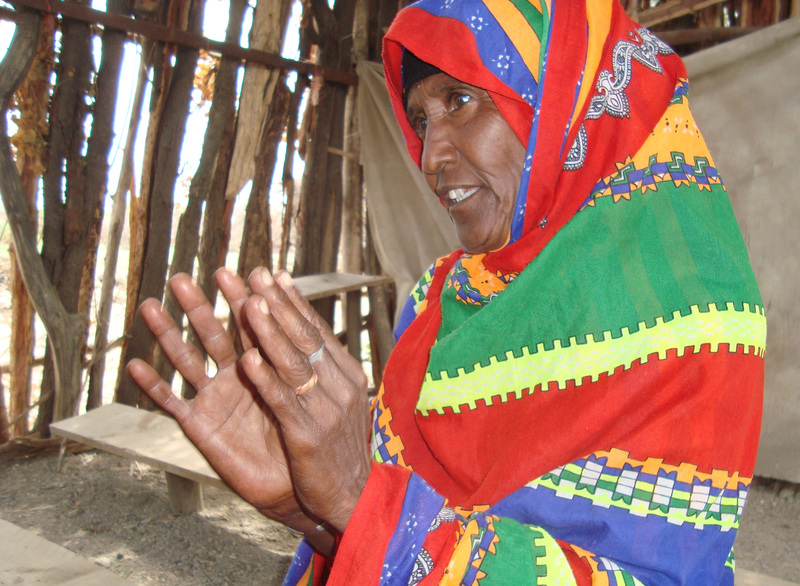 In Afar, the FGM prevalence has decreased by 7.5 percent since 1998, said a 2008 survey by the Ethiopia Goji Limadawi Dirgitoch Aswogaj Mehber, former National Committee on Traditional Harmful Practices. (Some agencies have challenged the methodology of this survey). “We have to educate pastoral women in Afar and Somali. We have to create alternative sources of income for the women so that when they are empowered they will start to question the tradition that is against their life,” Netsanet Asfaw, the government whip, said at the meeting organized by anti-FGM/C advocate, the Somali model Waris Dirie. Afar has registered at least 2,000 girls as free from circumcision in the past three years, according to CARE Ethiopia and Regional Women’s Affairs Office estimates. This is the highest number so far. This cut is one of the most horrible things done to a human being - I still suffer from it. But how can we stop it when it is our culture? Studies revealed that in 2005, out of 15,000 women surveyed across Ethiopia, only 25.5 percent still supported FGM/C, down from 60 percent five years before, said UNICEF. "As FGM/C is deeply ingrained in the social fabric... any increase in opposition, even a small one, represents a significant indication of change,” it noted. Among the reasons for this is higher educational attainment among women, anti-FGM laws, social support and awareness-raising. Access to education and control of economic resources would also "enable women to realize the full extent of their rights and may help them conclude that the practice of FGM/C can end", said UNICEF. Earning an income is helping women to speak up. “We have never talked to a man like this, we are now discussing equally with men as we save our own money,” Use, who, with 14 other women, formed a group that runs a small shop, told IRIN.